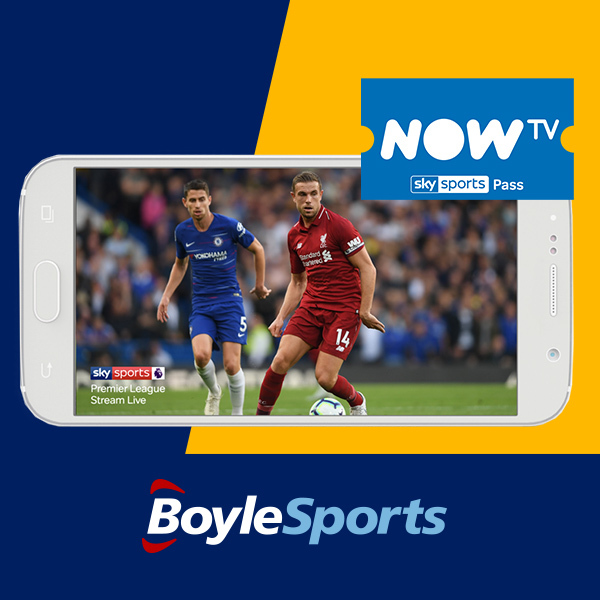 BoyleSports is giving customers the exclusive opportunity to get a free NOW TV Sky Sports Mobile Month Pass, where you can get access to four Sky Sports channels live to your smartphone, including the best action from the Premier League. To avail of this industry leading exclusive offer, all customers need to do is place a bet of €10 or more on the BoyleSports Mobile App.The following day they will receive their unique voucher code that can then be used to sign up for a month’s free NOW TV Mobile Pass. Not an existing BoyleSports customer? 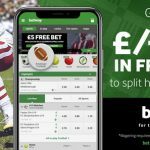 New customers can also take advantage of this exciting opportunity for free during the festive period, by simply setting up a new account through BoyleSports.com and placing a bet of £/€10 or more. New customers will then receive their NOW TV code and £/€40 bet into their account. Customers will be able to stream four Sky Sports Channels;Sky Sports Premier League, Sky Sports Arena, Sky Sports Action and Sky Sports News wherever they are on their smartphones. BoyleSports customers will have access to key sporting events such as Liverpool v Manchester United (16 Dec),PDC World Championship Darts (13 Dec – 1 Jan), Manchester City v Liverpool (3 Jan) – as well as live NBA & NFL action. NOW TV’s Sky Sports Mobile Month Pass is usually €/£7 a month, however with BoyleSports’ latest offer you get one month free with no contract, which means you can cancel at any time. She added “It couldn’t be easier for customers to avail of the offer and ensure they have access to games such as Liverpool v Manchester United this weekend or follow the PDC World Darts Championship right into the new year, on the go on their mobile. Simply place a €10 bet on our BoyleSports App or open a new account through our app and the code will be sent directly.